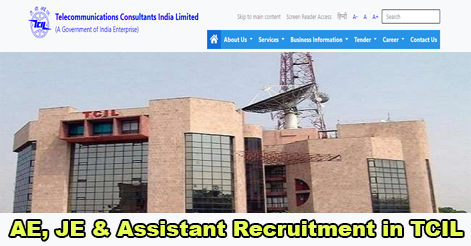 Telecommunications Consultants India Ltd. (TCIL) has released an advertisement for the recruitment of Assistant, Junior Engineer-II (Telecom/IT), Junior Engineer-II (Civil), Assistant Engineer (Civil) and Assistant Engineer (Telecom/IT) on regular basis. Total No. of Post is 28. Candidates shall be preferred to work in India/Abroad once selected. Interested candidates may apply online on or before 18 April 2019. Assistant 06 Graduate in any discipline from a recognized University / Institute. Min. 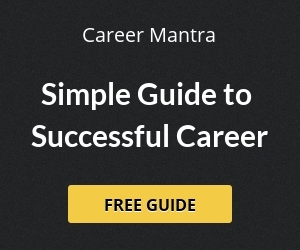 02 years (One year for SC / ST/ OBC Candidates) working knowledge of computers MS-Office, Excel, Word & PowerPoint is essential. Junior Engineer-II (Telecom/IT) 08 Diploma in (Electrical & Electronics / ECE / CSE / IT / Telecom) / MCA from a recognized Institute / University. Min. 02 years (One year for SC / ST / OBC Candidates) working experience in the field of Telecom / IT related works. Assistant Engineer (Telecom/IT) 02 Diploma in (Electrical & Electronics / ECE / CSE / IT / Telecom) / MCA from a recognized Institute / University. Min. 06 years of working experience in the field of Telecom / IT related works. Junior Engineer-II (Civil) 10 Diploma in Civil Engineering from a recognized Institute / University. Min. 02 Years (One year for SC / ST / OBC Candidates) working experience in the field of Civil works. Assistant Engineer (Civil) 02 Diploma in Civil Engineering from a recognized Institute / University. Min. 06 years of working experience in the field of Civil works. Assistant Max. 35 Years Rs. 28000-74000/- (N5 – IDA) + DA, Other allowances like Medical, LTC, Transport Allowance and Perks as per Company Rules. Junior Engineer-II (Telecom/IT) Max. 35 Years Rs. 28000-74000/- (N5 – IDA) + DA, Other allowances like Medical, LTC, Transport Allowance and Perks as per Company Rules. Assistant Engineer (Telecom/IT) Max. 40 Years Rs. 35000-87000/- (N7 – IDA) + DA, Other allowances like Medical, LTC, Transport Allowance and Perks as per Company Rules. Junior Engineer-II (Civil) Max. 35 Years Rs. 28000-74000/- (N5 – IDA) + DA, Other allowances like Medical, LTC, Transport Allowance and Perks as per Company Rules. Assistant Engineer (Civil) Max. 40 Years Rs. 35000-87000/- (N7 – IDA) + DA, Other allowances like Medical, LTC, Transport Allowance and Perks as per Company Rules. Note: Relaxation in upper age limit up to 55 years for the candidates working for TCIL on Contract or regular basis. The selection will be based on the written test comprising of objective/subjective both (General Knowledge / General English & Technical Domain Knowledge). The duration of the test will be 02 Hours. The exam will be conducted in Delhi. Interested & Eligible candidates can apply through the official website www.tcil-india.com on or before 18 April 2019 and thereafter take a printout and send it offline to TCIL office so as to reach by 22 April 2019. The candidates will have to deposit Rs.1000/- through Demand Draft in favor of “TELECOMMUNICATIONS CONSULTANTS INDIA LIMITED”, payable at “Delhi” for each application. The SC/ST Candidates are exempted from the Application Fee. Help us to improve this article/job posting "AE, JE & Assistant Recruitment in TCIL". We would be glad if you can comment below and provide your valuable suggestions and feedback. If this page have any wrong information/list or out of context content, then you can report us as well.